So on Sunday I was at my mom's having a birthday dinner and she gave me a bag of old picture frames. No, that wasn't my gift, but it could have been. I was happy to take them off her hands. 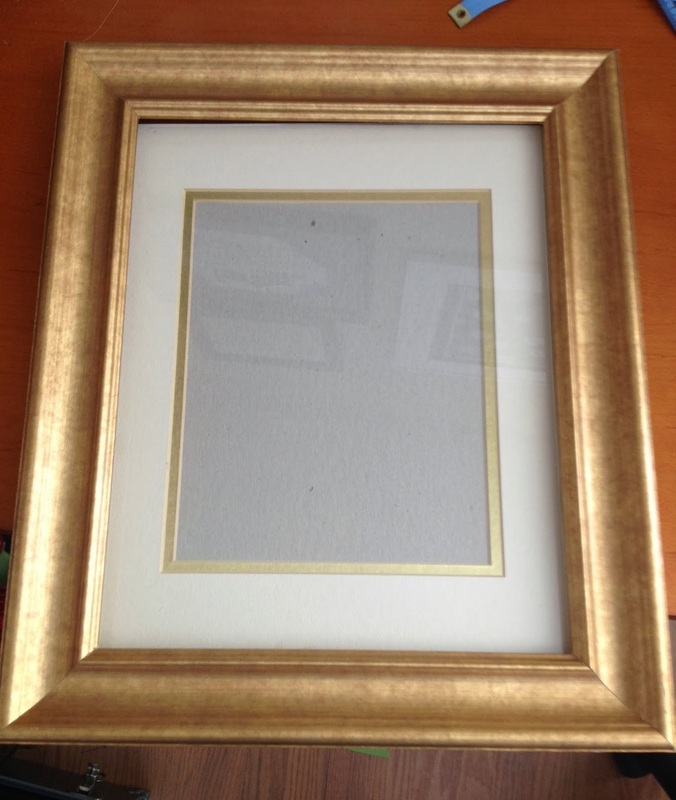 Four of them are matching frames which I have yet to upcycle, but the fourth was this large gold frame with a mat. I knew immediately it would make a perfect chalkboard. 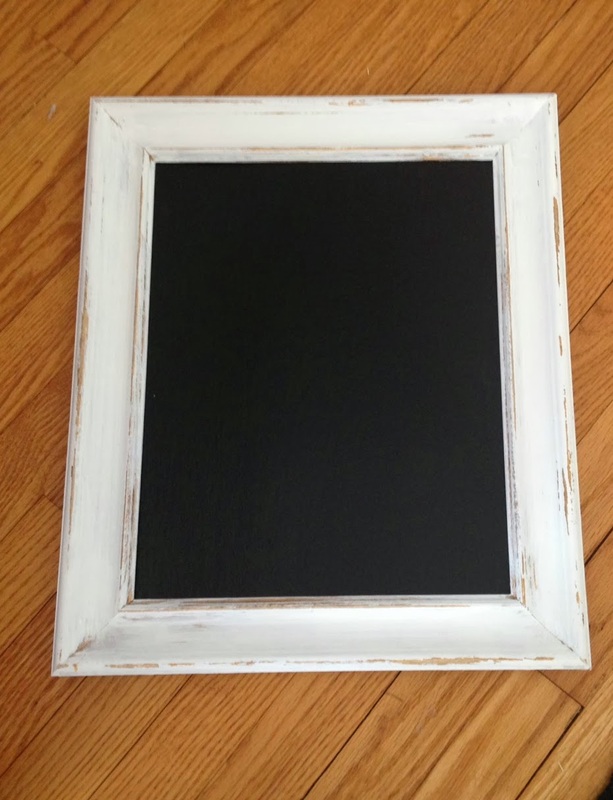 I have been wanting to turn a frame into a chalkboard for some time, but haven't found the right frame for the right price and FREE was right up my alley. I liked the gold frame, but it was just too much gold. 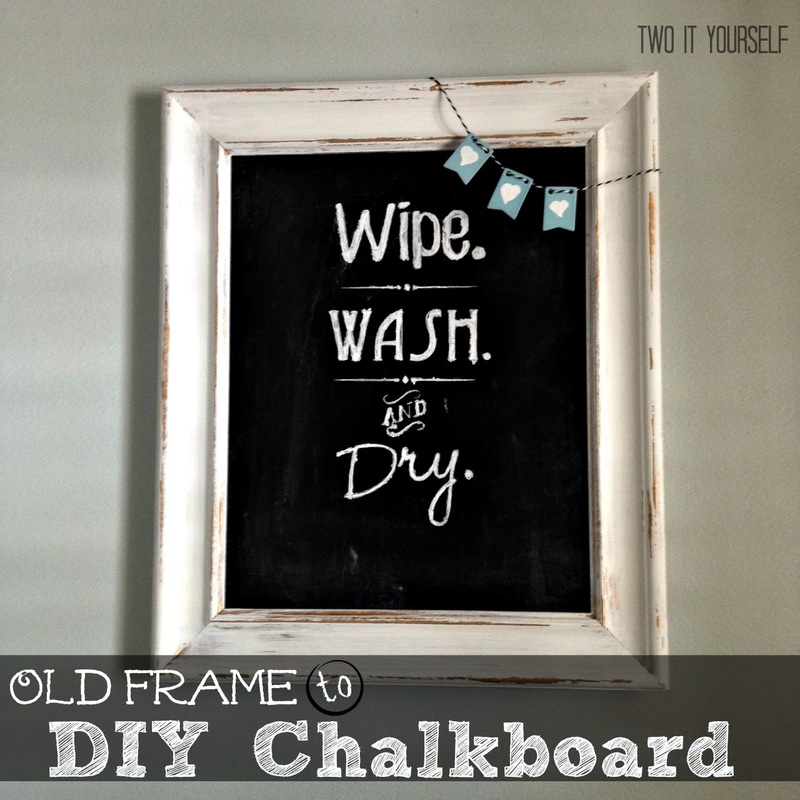 I had some white chalk paint left over from another project (more on that soon) so I quickly painted the frame. I say quickly because I really was going for the worn and weathered look and just kinda slapped the paint on there. I didn't want it perfect. I wanted the gold to show through. I wanted it looking old. 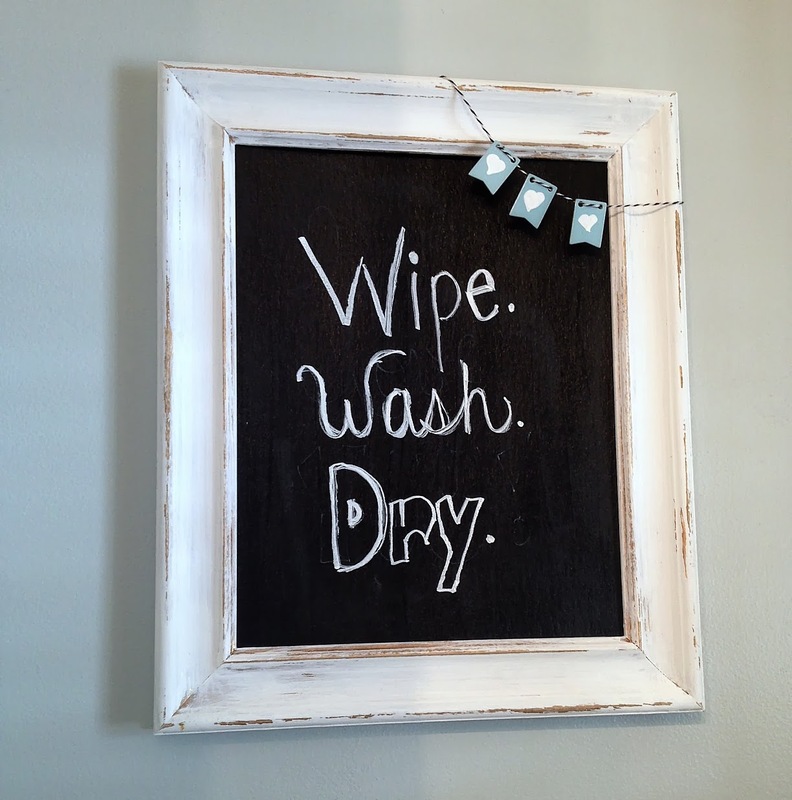 While the paint was drying - which didn't take long - I painted the cardboard backing with a layer of chalkboard paint. I ended up adding a second coat of paint to both the frame and the backing. Then I sanded the frame down in spots with some sand paper. Like I said, I wanted the gold to show through. Then it was time to put her back together. I left out the glass and the mat. I'm sure they'll find a new home at some point, but I didn't need them for this project. I added the cute little bunting (which may look familiar from this birdcage project) in the corner and thought I was done. Wrong. I just didn't love her. No...wrong...I didn't love my handwriting. I am convinced I have the worst fancy typography handwriting.like.ever. If you are blessed with fancy schmanzy artsy fartsy handwriting consider yourself that - blessed. I am blessed in plenty of other ways, but not with fancy schmanzy artsy fartsy handwriting. I attempted to wipe off the chalkboard marker again, but it wasn't coming off completely. The manufacturer suggests a damp cloth...it may work on regular chalkboards, but my painted cardboard chalkboard wasn't letting go. This is just going from one fail to the next. I ended up painting another coat just to cover it up. While that was drying I turned to my trusty Silhouette and created a design that I could cut as a stencil. I cut it on cardstock and then just laid it on top of the chalkboard and filled in the letters using the chalk paint marker. 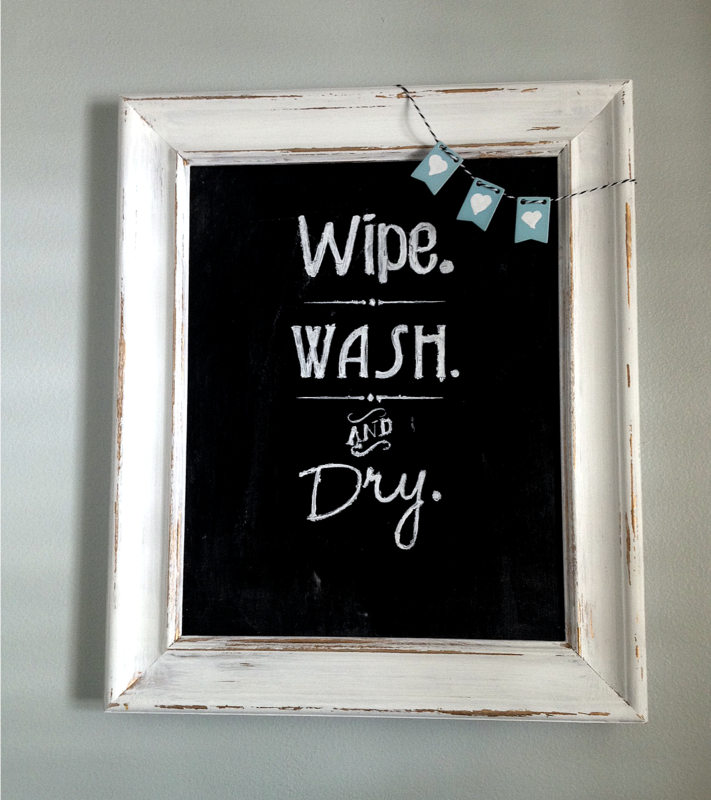 And now...I love my old picture frame turned chalkboard aka bathroom wall art. When I showed it to my mom her reply was 'Well, you certainly didn't waste any time'. I'm telling you this baby is a 30 minute project tops! 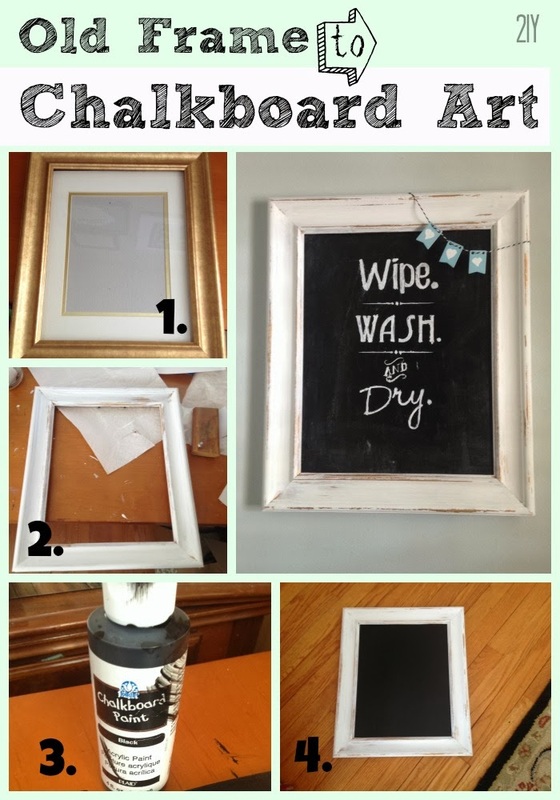 Have you made a DIY chalkboard yet? Are you naturally talented in the handwriting department or do you cheat like me? Leave a comment below.